Lactodent are Single layered, single shaded and cross – linked teeth. The shades of Dental Acrylic Teeth Lactodent are fade resistant against aging. Our range of Lactodent is quite preferred for being Nonporous, dense, vacuum processed, and hard. In fact, Lactodent teeth have a strong resistance against all kind of solvents and abrasion. It provides a perfect blend of denture and enamel. We offer Lactodent in Full sets (28), set of six (anterious) and set of eight (posteriors) uppers & lowers. 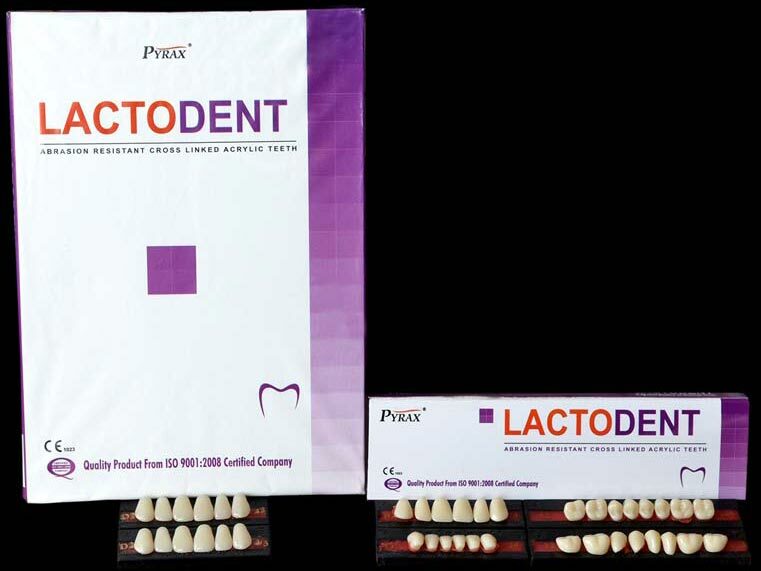 Clients can enjoy variety for Lactodent in 6 shades and 16 moulds.